Walking is a normal every day activity which is why sometimes we forget it is exercising at all. You can start at the pace and distance that suits you and can basically walk anywhere, like your local park or to and from work. Walking as part of a group is a good way to start if you’re unsure and at the same time can help you develop a network of supportive fellow walkers who can help keep you going and discover new walks in and around your area. A comfy pair of trainers is all you need to get going. You may also feel more comfortable in some sports kit but it isn’t essential! 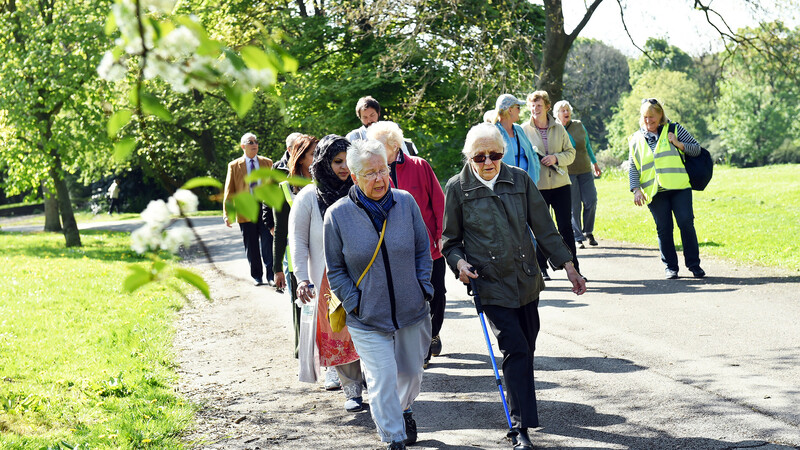 Find out more about how walking could work for you on the Walking for Health site. If you have a smart phone why not download the Active 10 app which tracks your walking and shows you when to increase your pace to benefit your health.